Excellent ability in identifying the causes of both acute and chronic health issues. Consults and designs health and nutritional approaches for medical practitioners and the general public. Conducts thorough analyses with each individual, forms hypotheses and synthesizes conclusions into recommendations for daily use. Maintains a private practice in Santa Rosa, CA, consulting to clients and practitioners worldwide. Speaker, Regulation, HA Eight Phase System & Pleo Sanum Case Studies, Tempe, AZ, 2013. Speaker, Electro Smog, Electro Dermal Screening and Case Studies, A4M Conference, Las Vegas, NV, 2012. Speaker, Lifestyle Diseases and Case Studies, Sanum Conference, Medicine Week, Baden-Baden, Germany, 2012. Speaker, Biological Medicine and Pleo-Sanum, Southwest College of Natural Medicine, 2010. Tour Leader and Education Coordinator, Biological Medicine, Germany, Switzerland, Portugal since 2000. Represented Paracelsus Clinic, Switzerland. Coordinated clients' schedules and therapies from the U.S.,1995. Served as co-representative VEGA Medicine and VEGA Grieshaber Akademie in N. America, 1995. Founder and Co-owner, GOJI Kitchen, an Asian fusion restaurant in Santa Rosa, CA as an extension of work as a nutritional consultant. Oversees key functions and makes dietary recommendations, 2009. Produced Life Supporting Medicine & Bio-Physical Information Therapy DVDs in collaboration with Dr. med. Bodo Koehler, 2006. 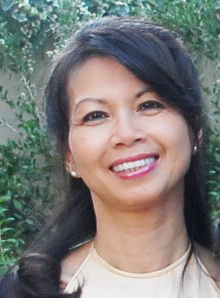 Former Chairperson of the Sonoma Vietnamese Association. Directed, oversaw, and coordinated community events, worked directly with city officials, and was instrumental in helping the organization achieve its non-profit status, 2011.